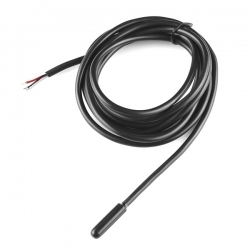 This sealed digital temperature probe lets you precisely measure temperatures in wet environments with a simple 1-Wire interface. The DS18B20 provides 9 to 12-bit (configurable) temperature readings over a 1-Wire interface (overall length approx 1.85m), so that only one wire (and ground) needs to be connected from a central microprocessor. The DS18B20 measures temperature in degrees Celsius with 9 to 12-bit precision, -55C to 125C (+/-0.5C). Each sensor has a unique 64-bit serial number programmed into it which allows for a huge number of sensors to be used on one data bus. 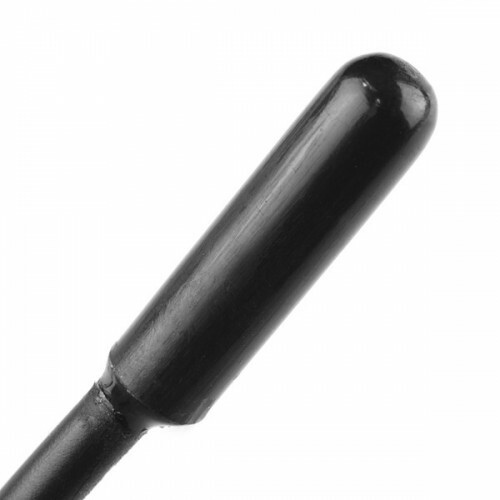 The DS18B20 One Wire Digital Temperature Sensor is a wonderful part that is the corner stone of many data-logging and temperature control projects.